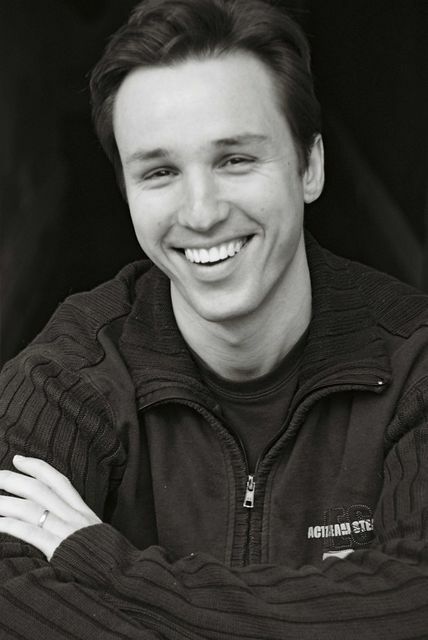 Arianne was lucky enough to interview award winning author Markus Zusak about his new novel, Bridge of Clay, and chat about all things writing. Read on for the full conversation. I’m always curious about where writers find inspiration for their novels. Markus says the idea for Bridge of Clay began quite a while ago, when he was twenty. Markus tells me he used to take really long walks around the suburb where he lived. He began to see images of a boy who wanted to build a perfect bridge around his neighbourhood. Markus named this boy Clayton. After a while he thought of shortening the name to Clay, and then the title, Bridge of Clay, came to him. Markus thought about both the name Clay, and the material, and about how clay needs fire to set, and a story formed about a boy who would mould his life into a bridge in an effort to save his family. I asked Markus if the process of writing Bridge of Clay was different compared with the writing of The Book Thief. Markus says the biggest difference was the amount of time it took to write, and the number of distractions that occurred during. 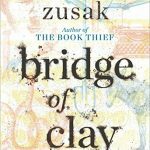 The Book Thief took three years to write, as opposed to Bridge of Clay which took twelve, but then, Markus didn’t have children to look after when he was working on The Book Thief, a book he says changed his life. Indeed, Markus’s incredible novel sold eight million copies, has been translated into forty languages and was made into a successful film, yet Markus says he only filled two notebooks during the time he was writing it, compared with the fifteen he used for Bridge of Clay. But that is the nature of writing. Sometimes the story needs longer to take shape, to become what it’s meant to be. In terms of the process, Markus says he did mostly the same things. One strategy he employs is to write out his chapter headings and use them as signposts to guide where the novel is going. He says Bridge of Clay was also the first book he showed to other people for feedback before sending it to the publisher. I asked Markus whether he has a favourite character. He says, while each character in his novel is important in their own way, for him, Penny Dunbar is the heart of the book. She is his absolute favourite. Markus is also very fond of Achilles, the Dunbar family’s mule. Did Markus always want to be a writer? He tells me yes, and that he made the decision when he was sixteen. What does Markus love most about writing? He says that sometimes he listens to music while he writes. He’ll put on a CD and look forward to his favourite song, and then he’ll start writing and afterwards realise that the CD has finished and his favourite song been and gone. That’s what Markus loves about writing. Getting lost in the world he is creating. I asked Markus what inspires him. He says it’s the little things. “Stories inspire me. I think it’s what we’re all made of.” The stories that move us in some way – the stories that shock us, the stories that make us laugh or cry. These are the moments that inspire him. The conversation then turned to his favourite authors, and to the books that have inspired or influenced his own writing. Markus says he loves John Irving’s The World According to Garp. He says it reminded him to be brave, and not to worry about giving the reader a big world. “They’ll cope, and if they don’t, you’ve still written the story you needed to,” Markus says. I often ask writers what their strategies are when they’re having a difficult writing day. What keeps them going when the words aren’t flowing. Markus says he always tells people not to beat themselves up on those days. “The restful days are also about cultivating the iron will you will need when you know where you want your story to go and it’s time to sit down and write it.” Markus says that in the time between books he misses the feeling writing gives him, and this drives him to write the next book. I asked Markus to describe his writing process. I wondered what he does if he’s struggling with a certain scene, does he ever skip ahead to another part that he’s been looking forward to writing, or does he try to stick to a linear process? Markus says he does this sometimes, but he has to really force himself, and if he does he won’t do it properly. Markus’s process is fairly linear, and he says he likes to perfect part one before he moves on to part two, because he wants to feel everything as he is writing the book. He wants to feel connected to the previous scenes as he goes on to write the subsequent. I asked him what his favourite time of day to write was. Markus says he prefers to write in the morning, when he feels freshest. He normally starts writing at 9.30, after the kids have gone to school, and tries to do five hours of writing, as a baseline. His favourite routine is to get up and start work at around 7 and work till midday, then have a big break, and do another stint later on. Don’t beat yourself up on the difficult days. Always keep writing at the top of your priorities in your day to day life. It can’t be secondary to anything. Don’t be afraid to fail, writing will always test you. Think of rejections as tests of how willing you are to continue persisting at your writing. The Tasmanian Writers Centre thanks Markus for taking the time to answer our questions. We can’t wait to see what you come up with next!